Ciao! Welcome to my Shop! Prices range from $150USD and goes up or down depending on your custom design requests. 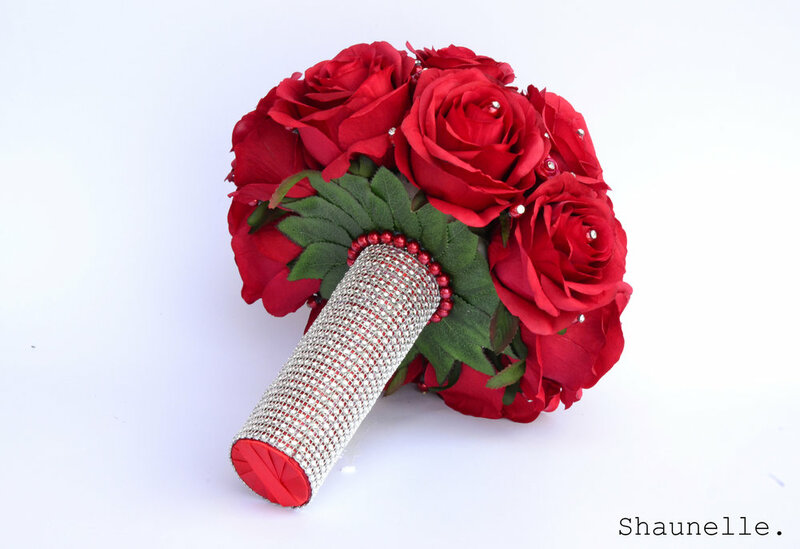 An Elegant Red Rose silk bridal bouquet accented with red glass pearls, hand painted rosettes and crystal rhinestones for just enough sparkles. The handle is wrapped with sliver bling mesh to add a luxurious finish. 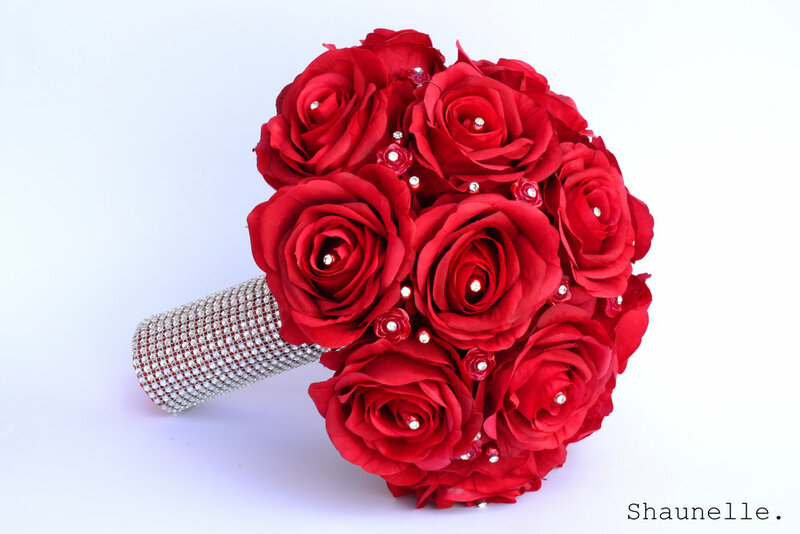 This bouquet is lightweight and looks very realistic, perfect for your wedding day photo shoots. Full bouquet size perfect for any bride. • READY TO SHIP IMMEDIATELY. FULL PRICE LISTED. This bouquet can be made in a colour of your request along with alterations.